University home > Services > Library > ad-lib > IT Services Start of Term Survey – Win £50! IT Services Start of Term Survey – Win £50! Just started at Loughborough University? Fancy winning a £50 Amazon voucher? Then why not complete the PC Clinic’s start-of-term survey! It’s very simple & straightforward and will take only five minutes of your time to complete. It’s a great opportunity for you to give feedback on your experience to help the PC Clinic improve their services – help them to help you! 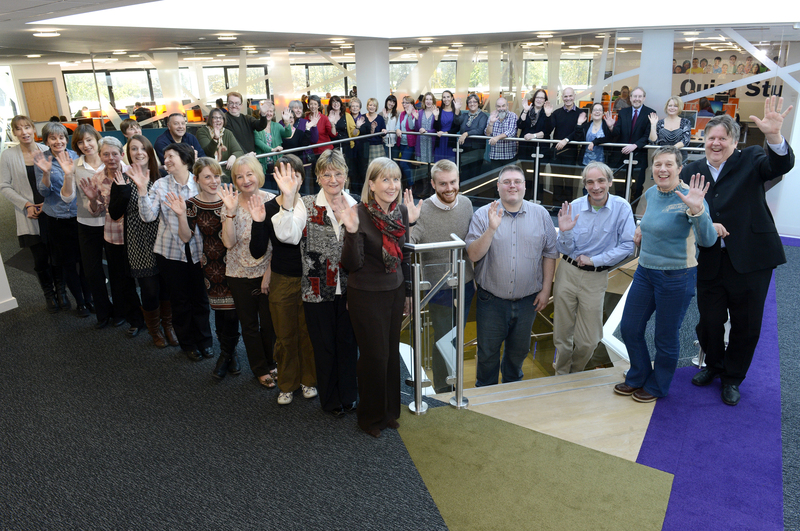 Academic Librarians will be out in the schools during induction week – look out for the Library session in your timetable. You don’t have to wait for the session to use us though – feel free to pop in when you arrive and have a look round. For anyone who talking about books, we run our very own book club launched exclusively for students. If you enjoy reading novels and exchanging views in a friendly and relaxed environment we meet during term time in the Library, dates will be confirmed soon. For more information email Sharon Reid. Good news for weekend visitors! From the start of term this October the PC Clinic will be open for business at weekends during term-time for all your IT needs and queries. Opening hours on Saturday and Sunday will typically be 12-2pm, subject to staff availability, and these hours may be extended during peak times of the year. Welcome back to all of our returning students who have come back at the weekend – we hope you missed us as much as we missed you! 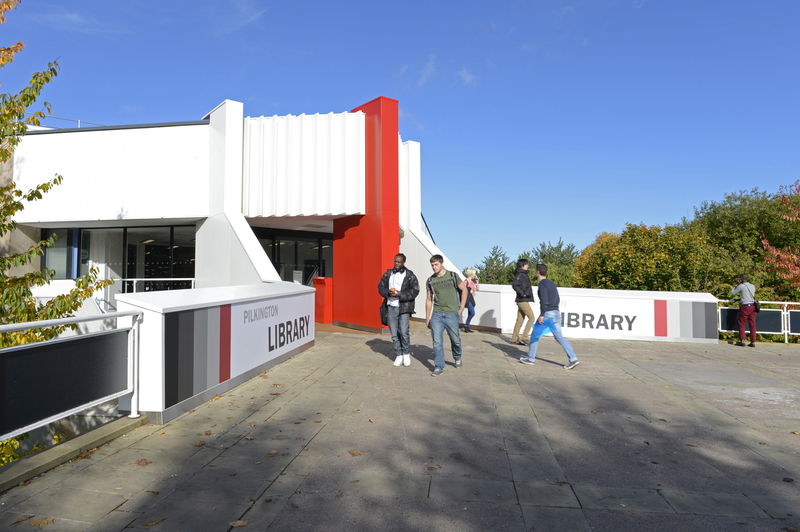 What you might have missed during the summer while you’ve been away is some news about our IT facilities in the Library and – best of all – an extension to our term and vacation time opening hours. 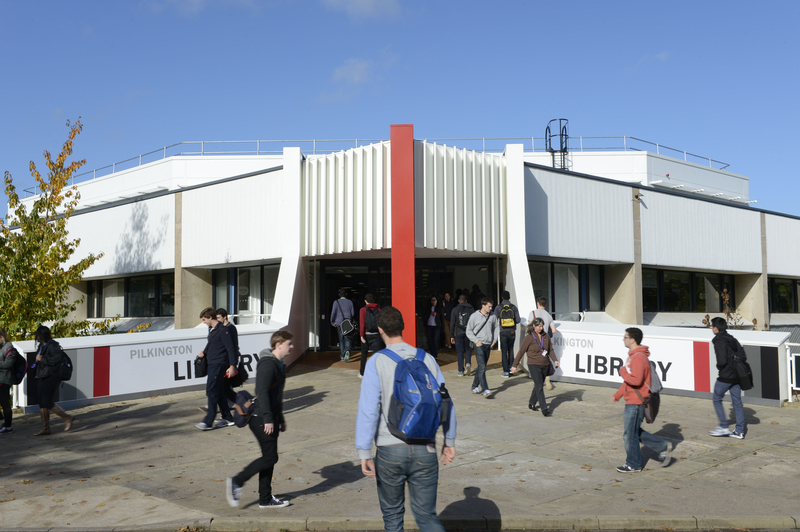 Yes, that’s right – from the start of this term, the Library will be increasing its opening hours during term time, meaning we will now be closing at 2am rather midnight. We will also be extending our opening hours during the next Easter vacation (it’s not that far away!) so that we’ll be open Monday-Friday until 8pm instead of closing at 5.30pm as before. The New Year 24-7 opening period will also be starting earlier next year. 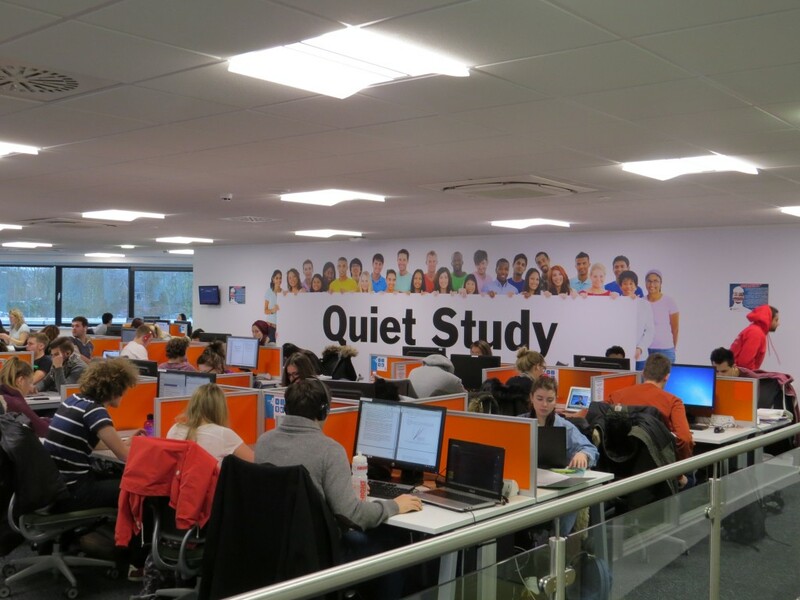 We’ve added 43 new PCs to the study area on Level 4, meaning we now have around 250 public workstations throughout the building. Engineers rejoice! All Library PC’s (except the Short Stay workstations) are now Auto-CAD software enabled thanks to sterling upgrade work by IT Services during the summer. On a bit of a downside, the PC Clinic have changed their opening hours. They will now be open weekdays from 10am to 6pm, but unfortunately will NOT be open at all at weekends. 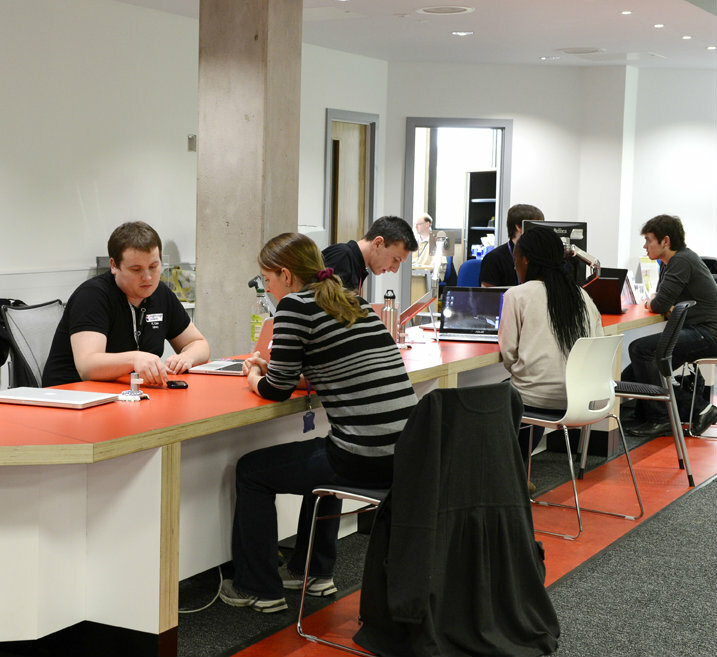 Library evening & weekend staff will provide as much help as they can, but in the first instance you should contact the IT Services Service Desk for any out-of-hours IT queries. Please note above that our only evening opening is on Wednesdays, and that we are closed at weekends for the duration of the vacation. Please also be aware that last entry to the Library is ten minutes before closing time, in order to allow staff to clear the building. The Library Shop will be closed for the duration of the vacation, but the Library Café will remain open, 9.30am-3pm daily. 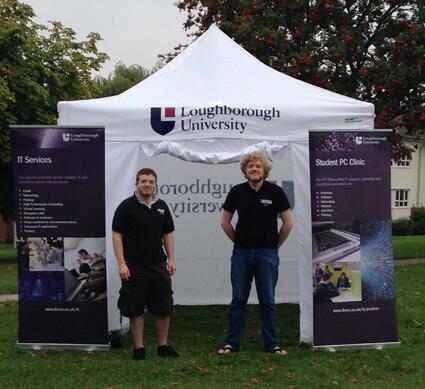 During Freshers week, until the Library re-opens on Monday, the PC Clinic will be located in a tent near the Library. 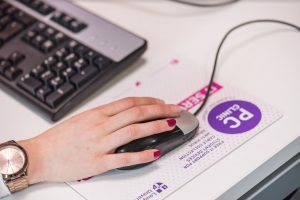 The Clinic will also be open at the weekend to help students get connected. Saturday & Sunday 11AM – 3PM. Saturday & Sunday 1PM – 4PM.